Om-rice (omlette rice) is a very popular dish, especialy for young people. There are two types these days. 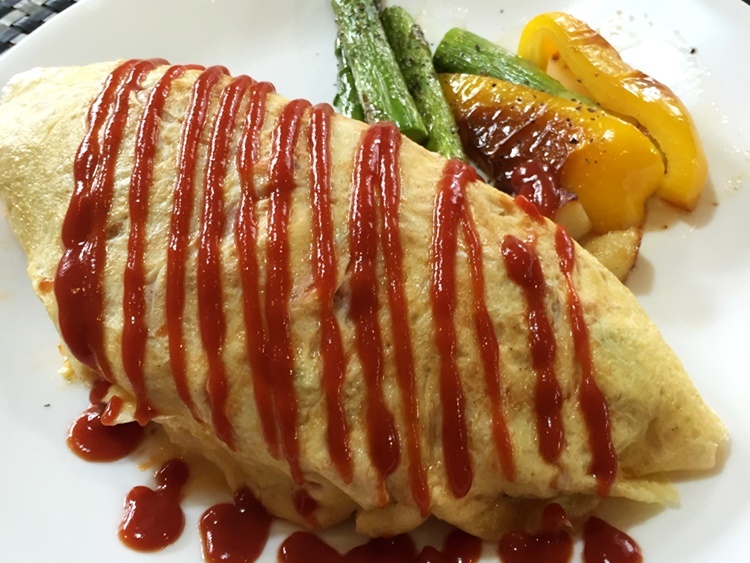 The traditional one consists of ketchup-soaked rice wrapped in a thin omelette. Lately, another type called toro-toro om-rice has got popular. 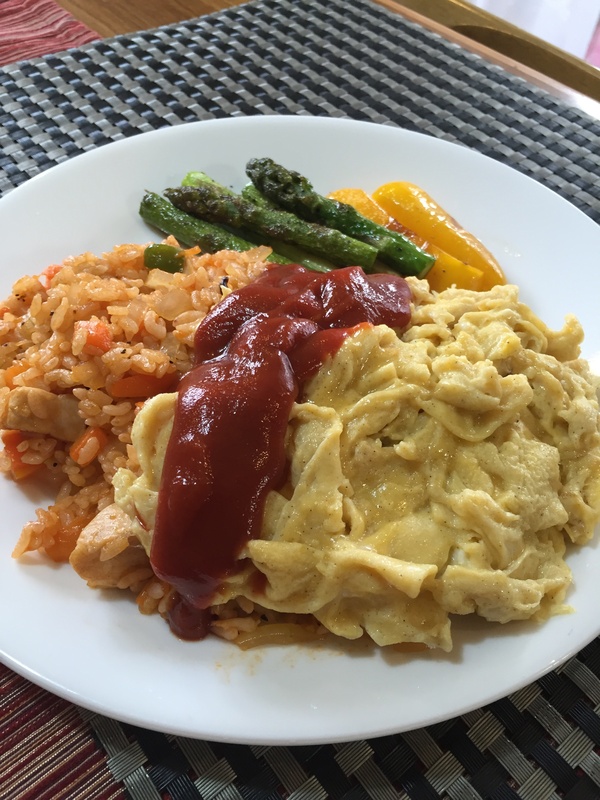 The ketchup rice isn’t wrapped: instead, a half-cooked scrambled type of egg is laid over the rice. The word “toro-toro” describes a condition between solid and liquid and it’s often used to describe delicious food. The ketchup rice usually has small pieces of chicken in it, but if you are a vegetarian, we will make a vegetarian version of the rice. Wrapping rice with omellete into the shape of a rugby ball is a difficlt part of this. I will show you the tecnique. Making “toro-toro” omellete is a difficult part of this.